Fifteen years ago I would have said that the Swedish tourist season is ten weeks long: from mid-June to mid-August. Fortunately, that’s no longer true. Our summer season here in Sweden starts earlier and ends later today. Many campsites open in May nowadays and close in early September. Even our summer cafés out in the countryside stay open longer – beyond the end of the ten-week school holidays that our Swedish students enjoy. The peak season still stretches from Midsummer (approx. June 20) to mid-August. This is when our kids and students are off from schools and universities. Everyone who works is also entitled to two or three weeks leave during this period. The busiest period on campsites, on beaches, and in the hotels are the last two weeks of July and the first two weeks of August. Around August 15 or August 20 most Swedes get back to work. However, many tourists stay until the end of August or the beginning of September – especially those with motorhomes. When the last summer tourists leave around September 10, we get other visitors who come here for hiking, fishing, hunting or picking mushrooms. An increasing number come for sea-kayaking or enjoying our seafood, especially on the west coast. Next in line are harvest festivals and Halloween festivities, followed by the first Christmas markets (some are arranged as early as late Oktober, for example in Skåne). In mid-November, Christmas at Liseberg opens in Gothenburg. This event attracts more and more foreign tourists and marks the beginning of the festive season. Simultaneously and further north, the winter tourist season starts, with cross-country skiing at Bruksvallarna or Idre Fjäll and alpine skiing in some of Sweden’s major ski resorts. This season can last until March or April (in Dalarna and Jämtland) or even until May (in Lapland). While you can still go skiing in Riksgränsen in the mountains up north in Lapland you might get a chance to go for a first swim of the season in one of the lakes in southern Sweden – all at the end of May. Sometimes, we can have a difference of 20 or 30 degrees centigrade between northern Sweden and southern Sweden – Sweden is indeed a very long country (1,600 km!). However, in some years it has also happened that northern Sweden (along its Baltic coastline) was warmest in Europe at the end of May – because of a stable high-pressure area from Russia. Thanks to new arenas we can now have summer all year round (with beach volleyball or swimming, for example) and winter all year round (thanks to our ski tunnels in Gothenburg and Torsby, soon even in Piteå). What we don’t have yet, is an all-year-round indoor alpine ski facility like on the continent or in Dubai. 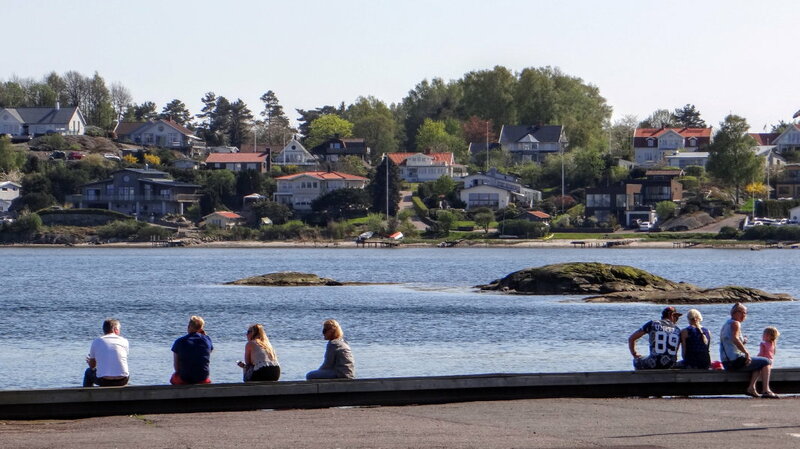 The holiday resort Isaberg in Småland is open all year round as is the zoo Nordens Ark in Bohuslän. These are just two examples of tourist attractions that are open 365 days a year. Even destinations like Åre (a ski resort basically) attract tourists all year round, with many summer activities: From summit hikes to midnight fishing – 5 Swedish adventures to add to your summer bucket list. Stockholm and Gothenburg have always been all-year-round destinations. That’s now true for Malmö as well thanks to the new Malmö Live event centre, new indoor food markets, and new shopping malls such as the impressive Emporia in Hyllie. Welcome to Sweden – anytime you like!